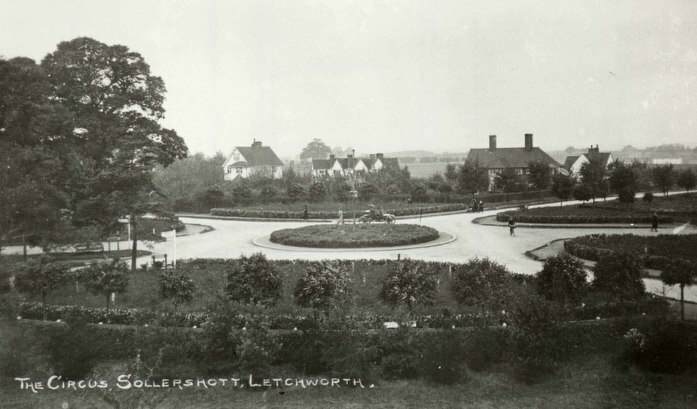 The first modern 'Roundabout' was built in Letchworth Hertfordshire in 1905 and called Sollershott Circus. Plans of Letchworth Garden City were drawn up in 1904 by Barry Parker and Raymond Unwin. Three roads in the plans crossed each other, Sollershotts East and West, Broadway, and Spring Road. At the point at where they all converged, Parker and Unwin drew up a detailed plan of a circular traffic island, ‘Sollershott Circus’, in July 1908. With a 'traffic circle' the vehicles approaching have priority. Traffic circles were not very popular with motorists and authorities have turned to traffic lights because of the high accident rate associated with them. 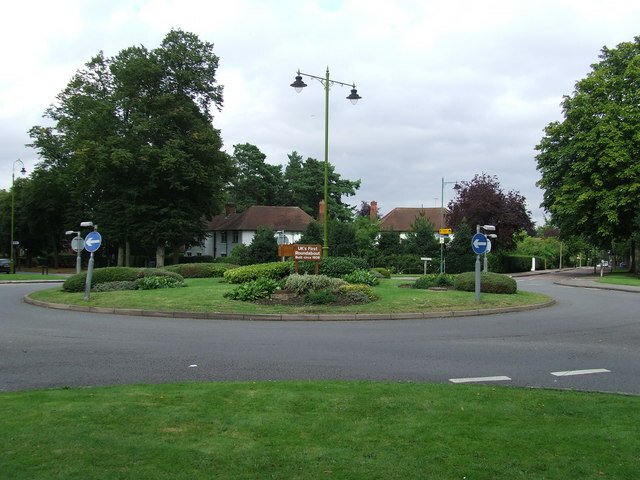 In 1926 the UK Ministry of Transport (circular 302) officially used the term 'Roundabout'. In 1950s the priority rule was changed. Now entering traffic gives way to circulating traffic. Modern roundabouts start to spread around the world. Sweden – 1967 Norway, Denmark – 1970s France, Germany, Netherlands, Belgium, Switzerland – 1980s Australia – 1980s US – 1990. A true roundabout is as near to maintenance free as you can get. No traffic light bulbs to replace or traffic chaos when there is a power cut. New research in America has shown that where a roundabout has been installed, savings of up to 40% on fuel can be saved, due to the fact the traffic is flowing more freely. Pennsylvania Transport Department has shown that roundabouts result in 90% reduction in fatalities, 76% reduction in injuries and 35% reduction in all crashes. When there is a collision on a roundabout they tend to be sideswipes as opposed to a head on crash. You can always shoot a red light, well designed roundabouts slow the traffic reducing impact. Roundabouts have become havens for wildlife. Isolated by busy traffic, animals are protected from predators and people rarely venture onto them. 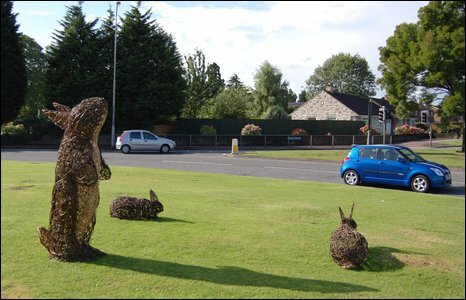 Wild life can thrive as in the 'Rabbit Roundabout' in Gloucester. Sollershott Circus was used in the Simon Pegg and Nick Frost, directed by Edgar Wright, ‘The World’s End’.